Saturday, March 5, 2016 9:00 AM Lovejoy High School AWAY 6 Canyon Eagles HOME 20 Game Recap The Canyon Eagles defeated Lovejoy in the final game of the McKinney tournament, 20-6. Friday, March 4, 2016 1:00 PM Lovejoy High School AWAY 4 Redwater Dragons HOME 4 Game Recap With no ITB in the McKinney tournament, the Leopards tied Redwater 4-4. Friday, March 4, 2016 9:00 AM Lovejoy High School AWAY 13 Celina Bobcats HOME 2 Game Recap 9 runs in the 3rd inning helped the Lady Leopards defeat Celina in the McKinney tournament, 13-2. Thursday, March 3, 2016 1:00 PM Lovejoy High School AWAY 4 Forney Jackrabbits HOME 2 Game Recap Lovejoy defeated the Jackrabbits of Forney in the McKinney tournament 4-2. Thursday, February 25, 2016 2:30 PM Lovejoy High School AWAY 4 Mesquite Poteet Pirates HOME 8 Game Recap The Leopards fell to the Lady Pirates of Poteet in the final game of the rescheduled tournament hosted at Lovejoy, 8-4. Friday, March 4, 2016 3:00 PM Lovejoy High School AWAY 1 Wills Point Varsity Tournament HOME 15 Game Recap Liliah Garcia helped the Leopards’s with a couple of clinch plays but the JV still comes up short against the Kaufman Varsity Lions 15-1. Friday, March 4, 2016 12:00 PM Lovejoy High School AWAY 1 Wills Point Varsity Tournament HOME 11 Game Recap Caroline Witken’s big day not enough, as Lovejoy Leopard’s JV loses 11-1 to the Wills Point Varsity Tigers. 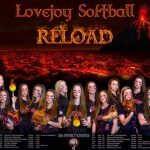 Thursday, March 3, 2016 2:00 PM Lovejoy High School AWAY 0 Greenville Lions – Varsity HOME 18 Game Recap The Lovejoy Leopard’s played with intensity but fell short against the Greenville Lions Varsity softball team on Thursday , March 3.